The Senate has reached a deal on trafficking bill. The contradictions over this legislation held up the vote on the president's pick for attorney general, making Loretta Lynch the longest waiting-for-approval cabinet nominee. “After weeks of pointless stalling on the bipartisan human trafficking bill, our Republican colleagues have finally agreed to a path forward,” Sen. Harry Reid (D-Nevada), the Senate minority leader, said Tuesday. After weeks of pointless stalling on the bipartisan human trafficking bill, our Republican colleagues have finally agreed to a path forward. 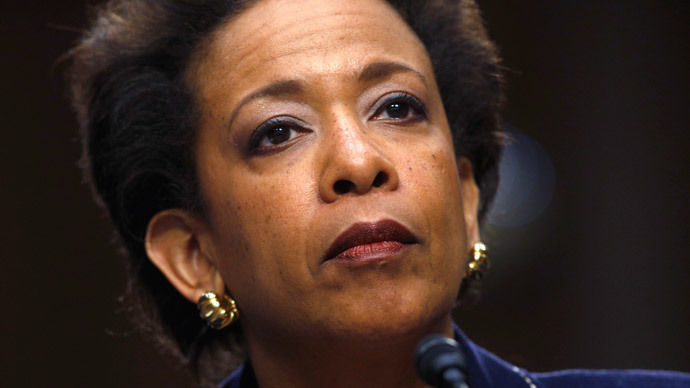 Lynch, the current federal prosecutor for the Eastern District of New York, was nominated by President Barack Obama to be the nation’s next top lawyer more than 160 days ago. That nomination has since been in limbo, however, with Republicans ‒ the majority party in the Senate ‒ having until now refused to hold a confirmation vote. “As soon as we finish the trafficking bill, as I’ve indicated for some time now, we’ll move to the president’s nominee for attorney general in the next day or so,” Senate Majority Leader Mitch McConnell (R-Kentucky) said on the Senate floor. GOP lawmakers had held up Lynch in protest of a filibuster led by Democrats in the Senate against an unrelated bill designed to protect victims of human trafficking. Senate Majority Whip John Cornyn (R-Texas) and Senate Democratic Conference Secretary Patty Murray (Washington) negotiated compromise language on abortion to spring the trafficking bill from a stalemate, The Hill newspaper reported. The Democrats agreed to assurances that none of the funds provided to trafficking victims will be used for abortions, in accordance with the Hyde amendment, according to the National Journal. The GOP compromised by not expanding the anti-abortion language. The final bill says that the fees collected from convicted human traffickers will be used for legal services and other concerns, but t cannot be used for any medical services. Separate money appropriated by Congress will then be used for medical services. The separate money will thus be subject to Hyde, an annual appropriations rider that prohibits spending federal funds on abortions. “I’m glad we can say there is a bipartisan proposal that will allow us to complete action on this legislation so we can provide help to the victims who desperately need it,” McConnell said. Lynch is expected to be confirmed in a close vote. So far, 51 senators have said they will vote for her, while 13 remain undecided. "Let's get out of this quickly," Reid said. 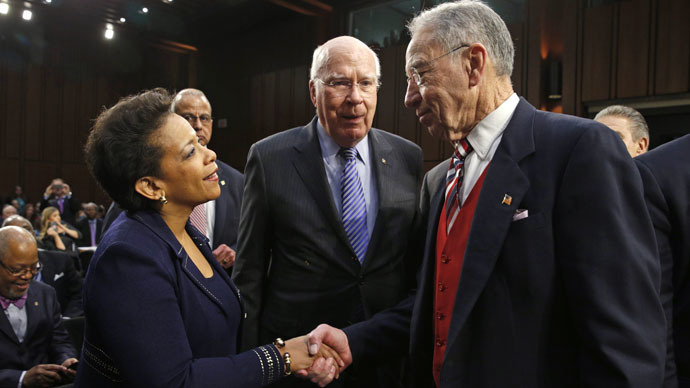 "Let's get Loretta Lynch confirmed."